All equipment provided, just turn up on the night and start playing! Avail of our New Badminton Membership Offer: 12 months only €99 with 4 Evening Coaching included (Starting Tuesday 11 September). Meet new friends, develop a skill for life and get fit in a fun environment. We cater for all ages and abilities. 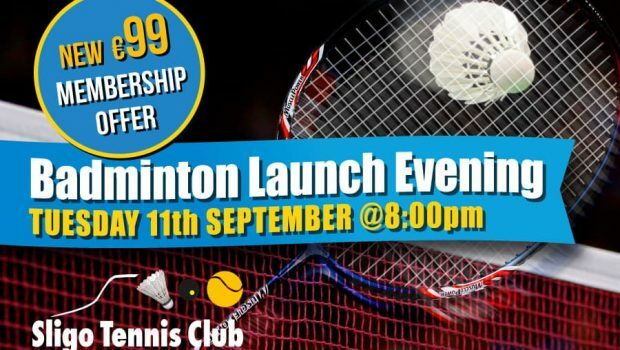 phone Conor at Sligo Tennis Club on 071 9162580 for further details.